ecently ultrabooks have spoiled us with their high-end performance and thus raised the bar very high for the ordinary notebook segment. To face that competition laptops become more and more powerful to suit our needs but at an affordable price. 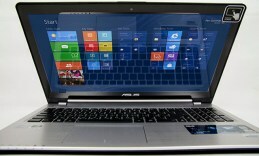 This video review introduces one example this is Asus S550cm. It is an all-purpose fast-performing machine that runs the brand new Windows 8 platform and you can take a full advantage of its cool features thanks to the touch screen. The case is aluminum which makes the whole construction look solid and well-built. It is available both in silver and in dark brown as well. But now more about the specifications. The LED backlit 15.6’’ display works in 1366×768 resolution. The touch commands initiate instant response sliding through Windows 8 panels but there is definitely more to desire about this screen. We weren’t particularly happy with the glare panel as the reflections on the screen are really annoying especially when stronger light is around. The colors are vivid and the contrast – decent. However, there is more to desire about this display’s brightness too. The graphics are handled by NVIDIA GeForce with 2GB DDR3 SD RAM memory at 1600MHz. The hard drive unit in the Asus S550 is a hybrid with its 750GB SATA HDD and 24GB SSD. The system memory of this machine is 4GB DDR3 but is expandable up to 8GB. This high-performance touchscreen notebook is powered by IntelCore i5 processor with 3MB cache with overclock up to 2.6GHz. The island-style keyboard is a full-size including the numpad on the right side which is really a time-saver if you often work with numbers. This notebook is powered by IntelCore i5 processor with 3MB cache with overclock up to 2.6GHz. The button touchpad below is pretty big so you can easily use gesture commands. Make a video-call anywhere, at any time using the HD webcam and the built-in microphone. The connection with other devices on the Asus S550 is established through Bluetooth v4.0. On the periphery you will find one USB 3.0 and two more ports v2.0, along with them there is an HDMI out, an SD card reader. There is a DVD Super Multi optical drive on board. The 4-cell lithium-polymer battery provides around 5 hours of unplugged use. The machine weighs around 2.5kg including the battery. 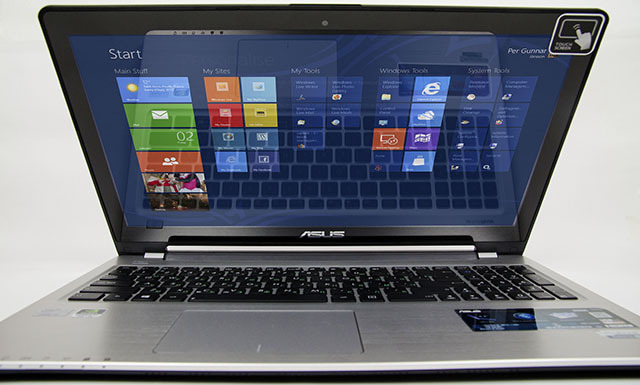 The Asus S550 is a high-performance, well-built notebook that delivers the Windows 8 experience at the tip of your finger. I'd love to know how to get bluetooth on this thing.